Microsoft’s 4Afrika initiative is four years old. Hurray! 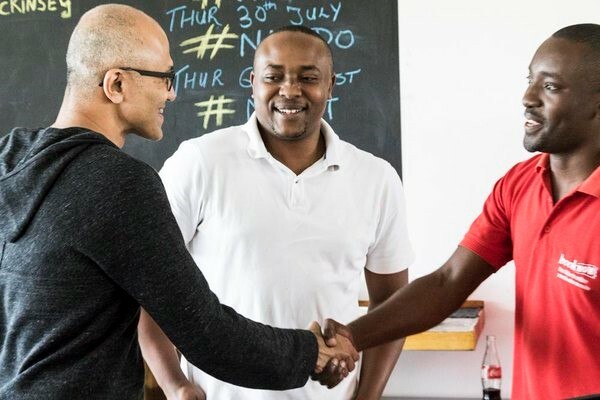 Here is a throw back of some of the successes achieved by Microsoft in Africa. Microsoft’s plan to empower youth’s, entrepreneurs, developers, businesses and civic leaders in Africa birthed the 4Afrika initiative. Microsoft through the initiative wants to help bring ideas that can impact communities, nations, the African continent and the world into a reality. The Microsoft 4Afrika initiative focuses on three critical areas of development for the continent; Skills, Access and Innovation. Microsoft 4Afrika has been investing in markets, ecosystems, partners and people. Creating an enabling environment where tech unlocks the potential of Africans to become leaders and innovators of locally and globally relevant solutions. Over 1,500 partners and professionals have been trained in virtual classrooms. 400 internships offered by 60 companies in partner network across 20 African countries via Interns4Afrika. 1.7 million SME’s reached via media and partner engagements. 500,000 SME’s actively Consuming Microsoft cloud services. 55 Startups funded & 82 supported, helping them generate $5.1 million in investments. Developed a culture of IP protection in Africa. Through partnership with the IP Hub, IP registrations at the Kenya Copyright Board have increased by 100%. 15 TV White Spaces deployed giving internet access to more schools, SMEs, & public facilities across Africa. Here’s what Amrote Abdella, Microsoft 4Afrika Regional Director had to say about the anniversary. 4 years – 4Afrika has invested in markets & people, creating an environment for Tech to unlock African innovation for the globe. Microsoft have been involved in various projects spanning Affordable Access, Innovation, Skills and Successful Partnerships on the continent. Click to read more about this. Have you benefitted personally or know someone who has from the Microsoft 4Afrika initiative? Share with us.